i-Browser Web Design Cornwall will work with you to create your website to reflect everything you need to attract your target audience. We have been Designing and creating websites for over 15 years so with that kind of experience you can rest assured that your website will be created with love, care and expertise. All of our websites are SEO friendly and they are Mobile Responsive to automatically look great on all devices from desktop to mobiles. There are many factors when designing a website. It is not just about creating a great design. If the website does not sell your product, generate enquiries for you or raise awareness of your business then it is not doing it’s job. So before anything is started, we will get to know your business inside and out and create an overall picture of your goals for your website. 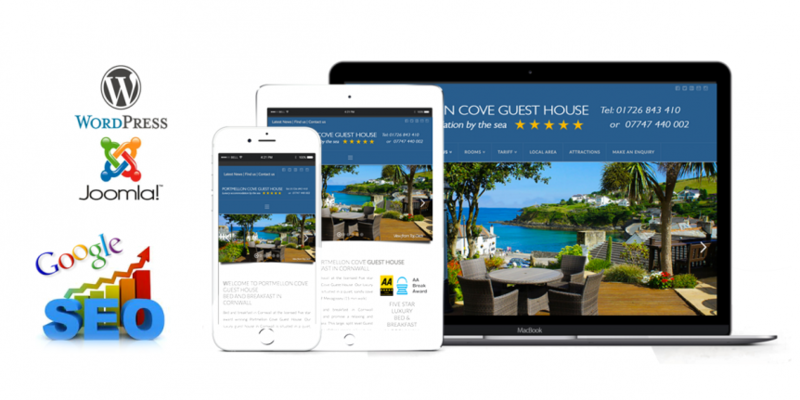 i-Browser Web Design Cornwall provide a service that is second to none, staying with you until you achieve the website that is perfect for you and your business.